Today’s buyers are more discerning when it comes to their home’s energy-efficiency, not only to save money, but to be more conscious about conservation strategies to protect the environment. Some Valley condominium developers are taking active measures to be more environmentally responsible in their green building practices. Developers like Serenity Development LLC are promoting sustainability in the design and construction of Serenity Fulton Ranch, a condominium community that is part of the 520-acre Fulton Ranch master-planned community in Chandler. 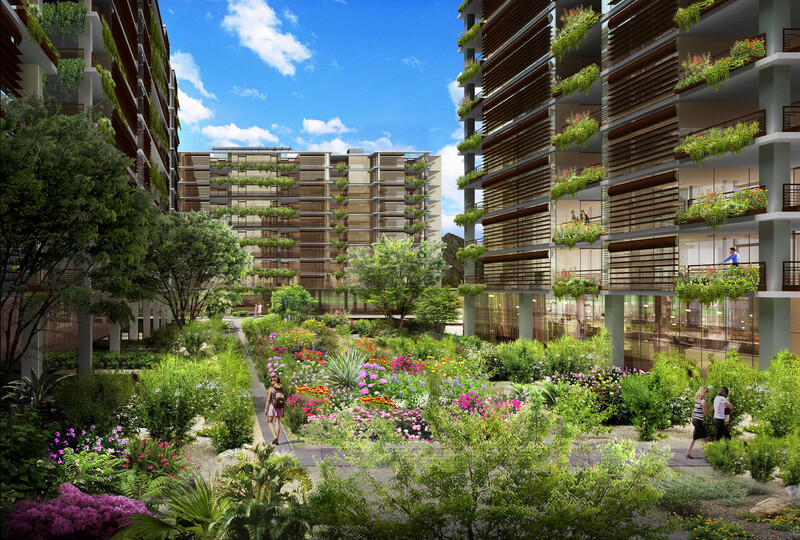 Some of the standard features included at the villa-style condominium property are ENERGY STAR-rated appliances which often include quality components surpassing those found in standard appliances. In addition to the highest level of energy-efficiency rating that comes standard at Serenity Fulton Ranch, buyers can also choose window coverings to reduce sun exposure, ceiling fans to increase air circulation, electric car-charging stations and additional options for appliances. “Not only are these products and appliances enhancing performance, they are expected to save consumers 20 to 30 percent in annual utility bills compared to other homes,” Hickey said. Additional upgrades to plumbing fixtures and smart-home automation are also available. The low-impact, low-density community, which is expected to reach build-out in late 2017, features eight to 10 residences per acre and promotes greater sustainability by offering more open spaces and greater livability. Serenity Development is in sync with the City of Chandler’s long-standing reclaimed water efforts to conserve the drinking water supply. The community’s lake system features flowing streams and waterfalls that serve as a reservoir for future irrigation purposes. In North Scottsdale, luxury condominiums at Optima Kierland are surrounded by lush vertical landscaping and open green spaces that are not only aesthetically pleasing but also serve a practical purpose. The property’s rooftop garden creates an inviting and relaxing atmosphere where guests can gather and socialize. When designing the exterior landscaping at Optima Kierland, developers worked with Chris Martin, PhD, a senior sustainability scientist and professor at Arizona State University, to select desert-adapted plants that not only soften the feel of the community but also reduce water usage. Optima Kierland recently participated in a pilot project with the City of Phoenix’s International Green Construction Code program that takes a “whole project” approach to promoting safe and sustainable construction. The condominium developer is also currently working on a second pilot program with the City of Scottsdale which r ate s energy-efficiency and environmentally friendly building materials. “As a developer, it’s very important to our buyers that we are aware, responsible and sensitive to the environment,” Hovey Jr. said.